Combine New Zealand’s richest surfing event in the Rip Curl Pro Raglan presented by Galbraiths, add in a perfect swell forecast and you get an exceptional talent pool of the country’s best surfers converging on Manu Bay, Raglan this Friday (5th May). The two-day Rip Curl Pro presented by Galbraiths offers up over $10,000 in cash prizes, enough to attract New Zealand’s top surfers such as National Champion’s Billy Stairmand (Rag) and Ella Williams (WGM). Even the recently-retired Maz Quinn (Gis) has decided to return to the competitive arena this Friday. The current storm crossing New Zealand has added to the hype of the event with big 2.0m plus waves forecasted for Friday and clean 1.5m conditions on Saturday when the event will conclude. For the second year running, Sky Sport will broadcast the event live on the final afternoon bringing surfing to lounge rooms around the country on Sky Sport 4. Leading into the final afternoon, Garage TV will stream the event via Facebook on during the Saturday action. Live scoring throughout both days can be viewed on www.liveheats.com/RipCurlProRaglan. Both Quinn and Williams defended their titles in 2016 and both will aim for a third this Saturday. No surfer in the 13-year history of the event has won more than two consecutive events. Stairmand has won three titles in the Open Men’s Division (‘08, ‘09, ‘11) while local surfer Jessica Santorik has won the event on four occasions (‘07, ‘09, ‘10 and ‘12). Williams along with New Zealand teammates Taylor Hutchison (Rag) and Zen Wallis (Piha) will use the event as a warm-up for the World Surfing Games which are being held in France at the end of the month. 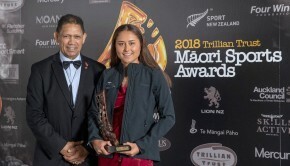 Williams knows the importance of getting in some competitive practice prior to representing New Zealand on the world stage and has targeted the event this weekend as a vital stepping stone. She goes into the 2017 edition of the ISA World Surfing Games looking for a podium finish after falling just short in 2016 when she was the surfer to watch for much of the event. This weekend Williams will face off against the likes of 2015 National Champion Gabriella Sansom (Albany), up and coming 15-year-old Saffi Vette (Gis) and aforementioned Jessica Santorik (Rag) to name a few of the top rivals. Like Santorik, local surfer Billy Stairmand will be looking to break Quinn’s recent stranglehold on the event. Stairmand honed his skills at Manu Bay and is widely regarded as the best surfer at the lefthand point break. With a less strenuous international campaign in 2017, Stairmand will aim for a win here to help fund his attendance at more international events later in the year. Piha’s Elliot Paerata – Reid is another surfer that has been competing overseas this year but has returned for the event and he will be one of the top surfers at the event and expecting to go deep into the final day. In 2016, Paerata – Reid came painfully close to winning the event tying with Quinn for the win but Quinn winning on a countback due to his single highest scoring wave being superior to Paerata – Reid’s. While Paerata – Reid will rely on his international experience from the start of this year, there is a host of young New Zealand based surfers that have been competing regularly here in New Zealand that will feel they are well placed to perform. They include number one seed Harrison Whiteside (Chch), Taylor Hutchison (Rag) and Zen Wallis (Piha) who have travelled the length of the country competing. Action will take place between 8am – 4pm across Friday and Saturday. The swell is expected to ease throughout the two days starting at a swell over 2.0m and fading to 1.0m on Saturday afternoon. The Rip Curl Pro presented by Galbraiths also includes the all-time Saturdaynight gathering at the YOT Club thanks to Galbraiths. This year’s entertainment includes People of Paris and Mangrooves. The event is the fourth of five events on the New Zealand Surf Series with the final event being the Backdoor BayBash being held in the Hawkes Bay during November. Please see below for current ratings after three of five events on the New Zealand Surf Series plus the previous winners of the event. 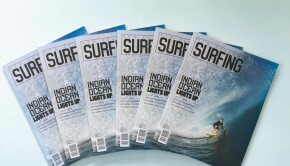 Keep in touch with all the surfing info from around the country by following Surfing New Zealand’s social media networks – @surfingNZ across Facebook, Instagram, Twitter and Snapchat. Generous support from Rip Curl, Galbraiths, Radio Hauraki, Point Boardriders and Surfing New Zealand has made this event possible.